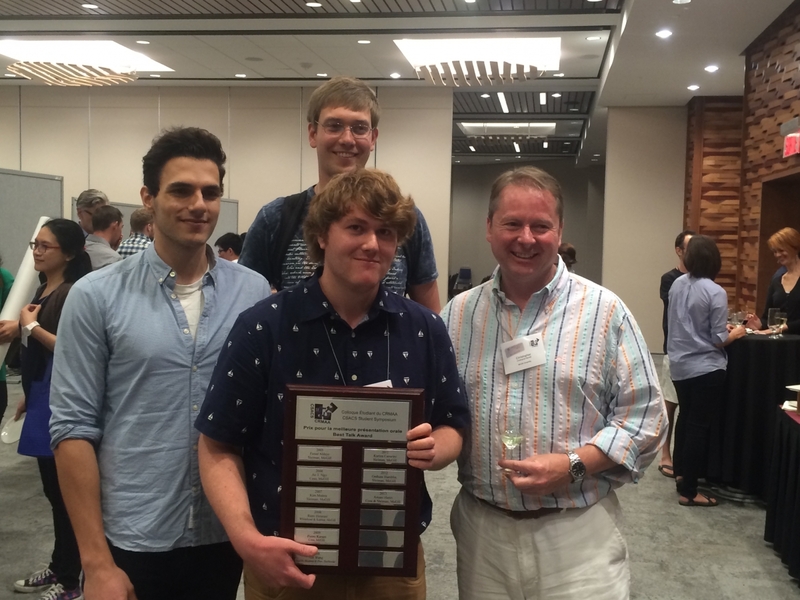 2015 CSACS Meeting: A great success! 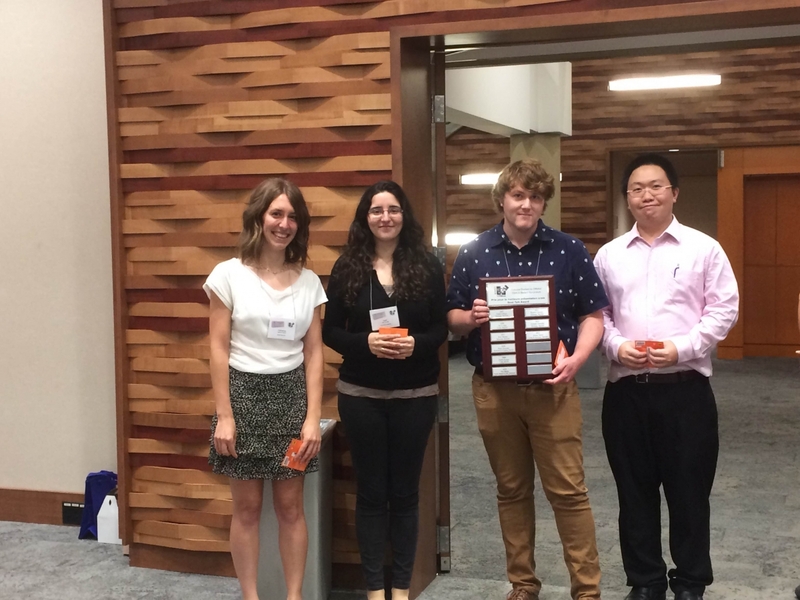 The CSACS Student Symposium took place on September 18th 2015, at McGill University’s New Residence Hall. This event is an occasion for students to share their work with the local self-assembly community. Prof. Gilles Bourret (Salzburg University), a former CSACS member himself, gave the keynote lecture. Bourret discussed the use of electrochemical approaches to prepare plasmonic nanostructures with a high level of control, including coaxial lithography (COAL), a method he helped develop as a postdoctoral fellow in Chad Mirkin’s group (Northwestern University). The symposium was attended by over 100 graduate students, post-docs and faculty members. The program included 10 oral presentations and over 30 posters addressing diverse themes ranging from lung surfactant properties, mechanochemistry and DNA-based nanomaterials. The prize for the best oral presentation was awarded to Michael Landry (Barrett group, McGill University), for his talk about azobenzene-modified silk polymer gels used for photolithography.